Being pregnant doesn’t mean giving up your personal style but there is really no need to spend big on maternity clothes! You can get a lot of mileage out of what’s already in your closet. 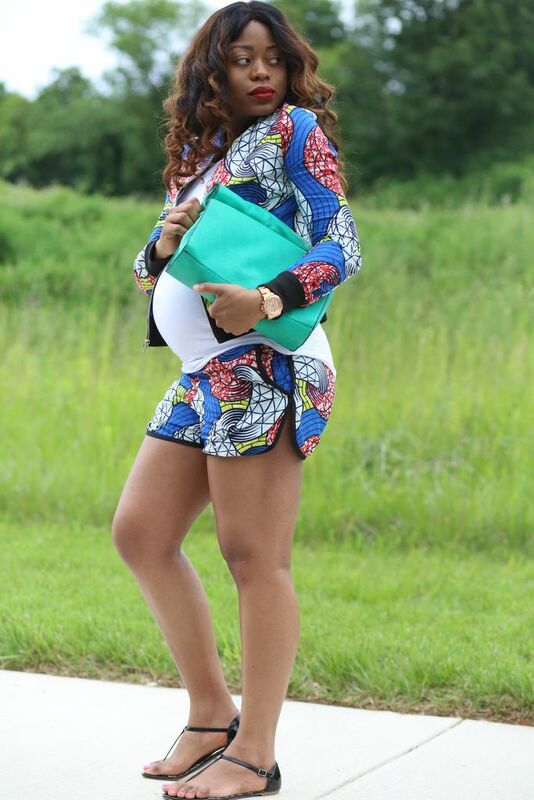 All you need is a nip here, a tuck there & some nifty styling tricks and Jumia Nigeria, the online shop you can trust, shares a few tips on how to dress during pregnancy. Kimonos are a staple in the wardrobe on any given day, and they’ve been especially fun throughout my pregnancy. There are so many ways on how to wear kimonos during pregnancy, but the most important maternity style tip that I can give you is to keep your outfit simple and let the kimono do the statement. They’re great for when I’m working and also great in your early pregnancy to cover up your questionable and not-yet-cute bump. Good for the first trimester, and maybe second. Even if you’re not showing, you might get bloated early on, and feeling uncomfortable is a very common feeling. If you’ve ever been pregnant, you know what it’s like to try to find fashionable clothes that fit and are comfortable. Jeggings are sure to be your knight in shining armor. Good for: Second and third trimesters. Bodycon is fun, no matter the length — it adds a little diversity to your wardrobe (essential in these trying times!) and adds a little more coverage if you’re not one to show off your body. Pregnancy isn’t always easy on your feet. A little baby weight can lead to swelling. In such circumstances, a pair of comfortable shoes can do wonders. You require the right kind of pregnancy footwear to not only give you comfort but also keep your baby safe.